In case you’ve missed the constant commercials and barrage of decorations that have filled your local drugstore, tomorrow is Mother’s Day! 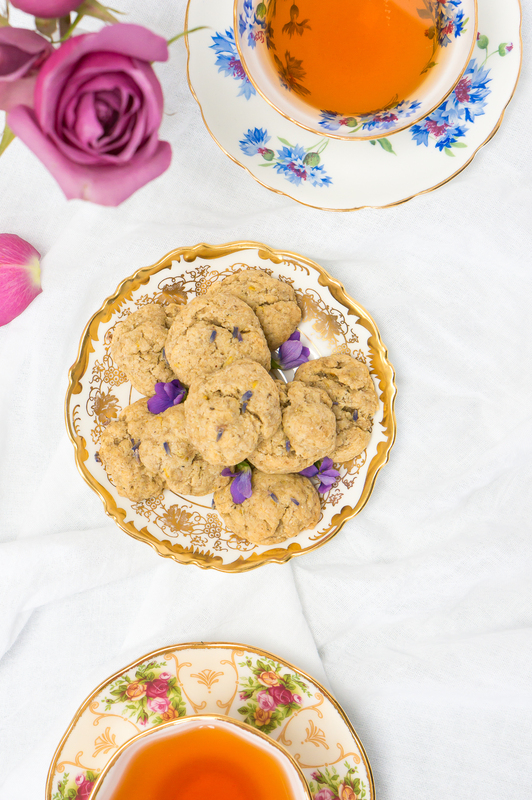 And why celebrate the woman who gave you life with a box of chalky, chemical-filled store-bought chocolate when you can make her something amazing yourself? 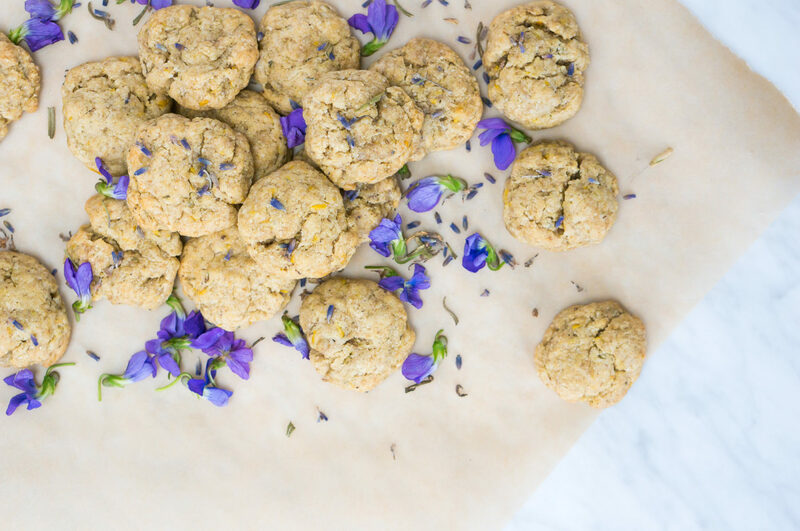 Enter: these healthy lavender lemon cookies. 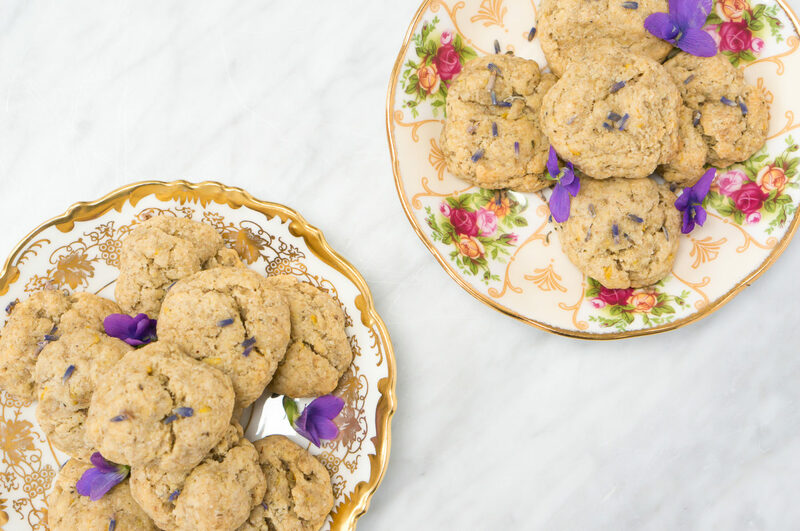 So show mom some love with these healthy lavender lemon cookies. Mix together chia seeds and water to form a paste. Set aside. 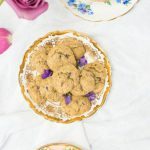 Meanwhile, crush the lavender in your coffee grinder, with a mortar and pestle or simply place it in a plastic bag and crush it with the bottom of a heavy glass or jar. 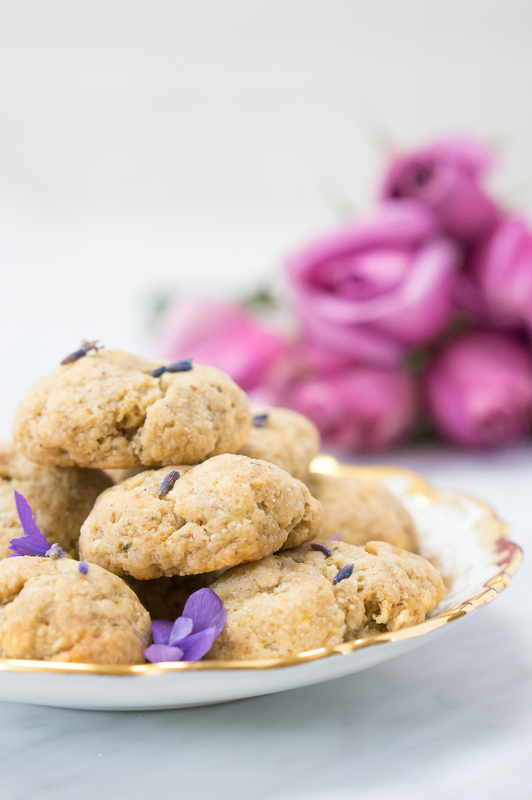 Mix together almond flour, sea salt, baking soda and lavender until well combined. 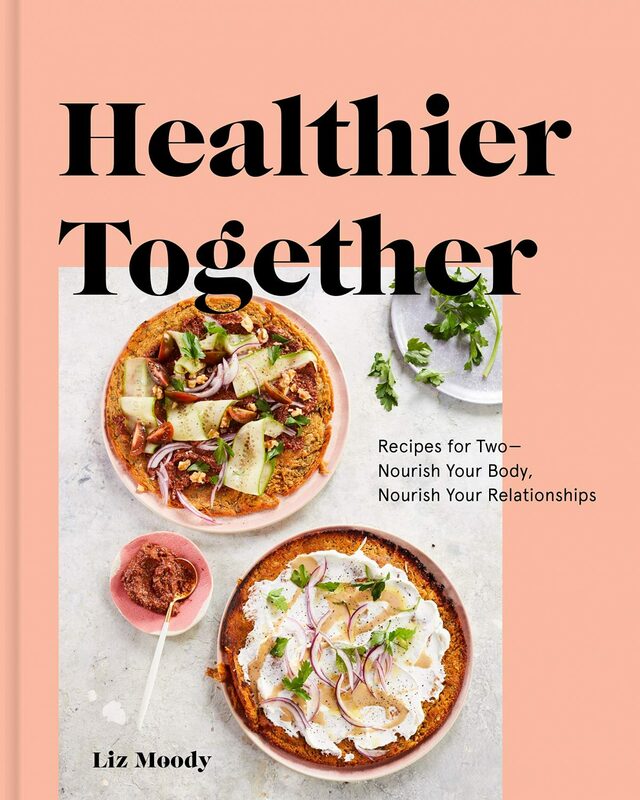 Add maple syrup, coconut oil, vanilla, lemon zest and chia paste and mix well, using your hands to mush the mixture together until one homogenous texture. Transfer to fridge to rest while preheating oven to 325 degrees. After about 10 minutes, remove dough from oven and roll into small (about the size of a cherry) balls. Press them a bit flat, then place on a parchment lined baking sheet (you don’t want them touching, but they don’t really spread, so you can put them fairly close together). Bake for 15 minutes, or until edges and tops are just beginning to turn golden brown. Remove from oven and let cool for 10 minutes before removing from pan. Makes about 15 mini cookies. 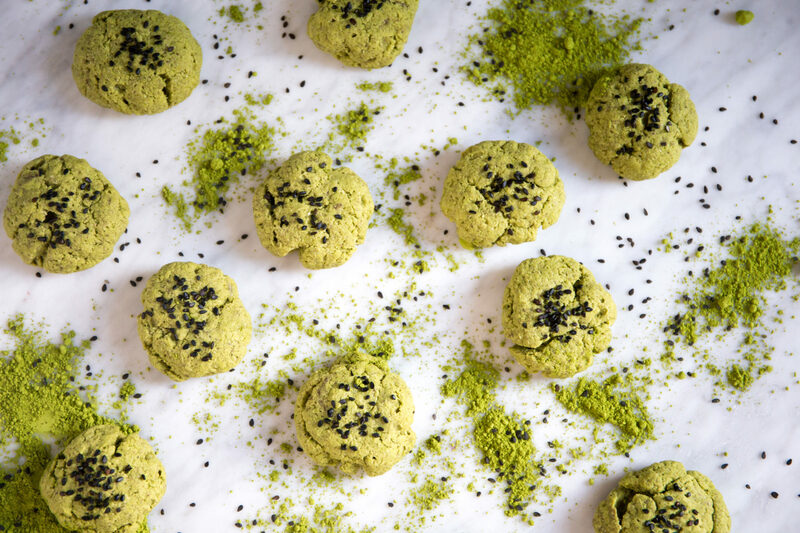 Looking for more lemon-y, zesty, dessert-y goodness? 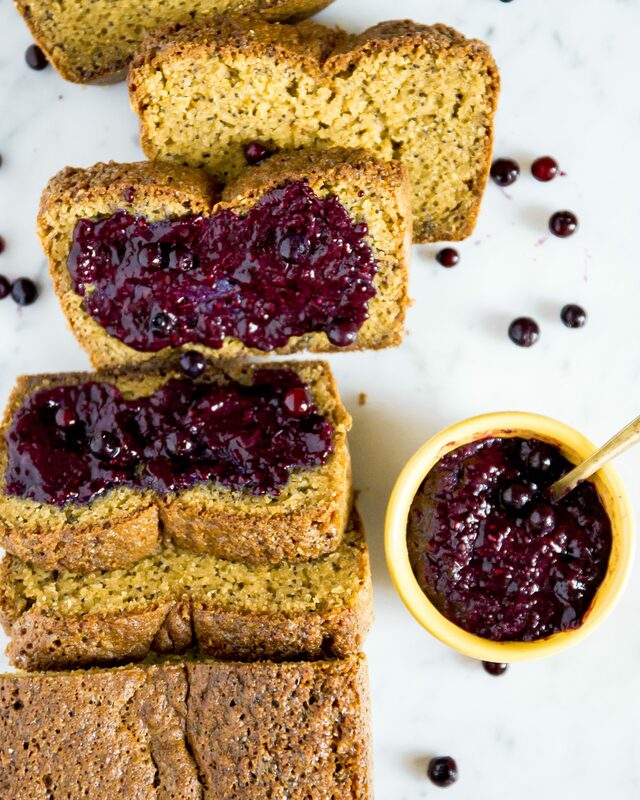 Check out this grain free, gluten free, and refined sugar free Healthy Lemon Poppyseed Loaf Cake. Aww yay I’m glad you loved them! This recipe is delicious!!! I made it without the chia seeds though.. love honey for sweetness!!! 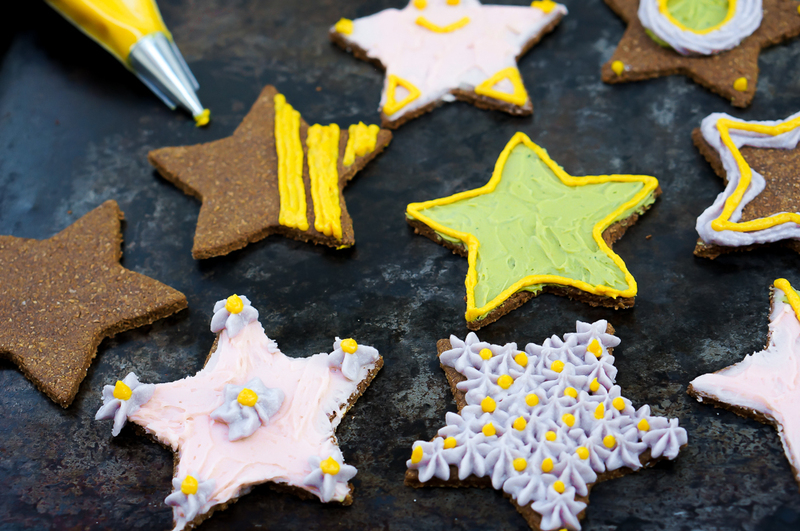 Reply to 15 Vegan Cookies To Make This Holiday Season | Your News On Time! Haha, I love what you say these cookies will mean when you give them to mom. The look delicious, too! !